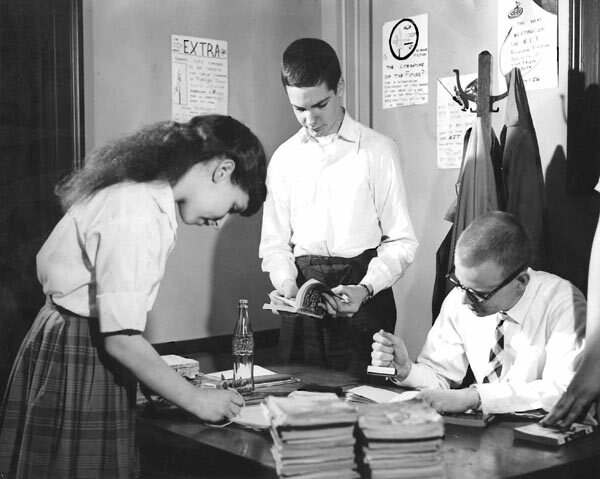 Deanne Gross Dickinson Pecora ‘63, Steven Whealton, and Norm Humer ’62 at the check-out desk in the MITSFS library, 1960. M. J. 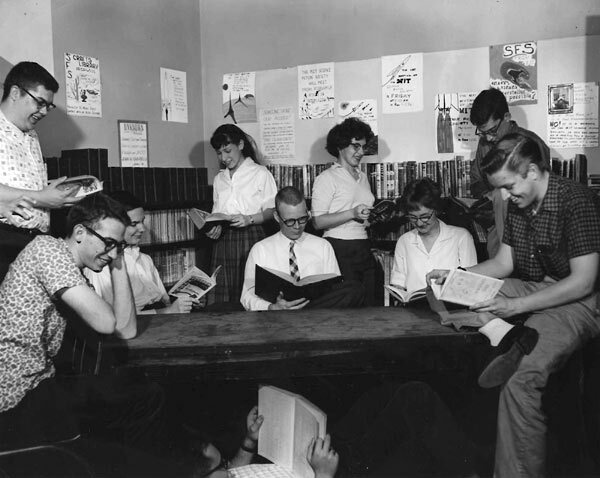 Ward ’66, SM ’68, (front and center) and Henryk Baran ’67 (standing, left) with other unidentified students in the MITSFS library during the 1965-66 academic year. 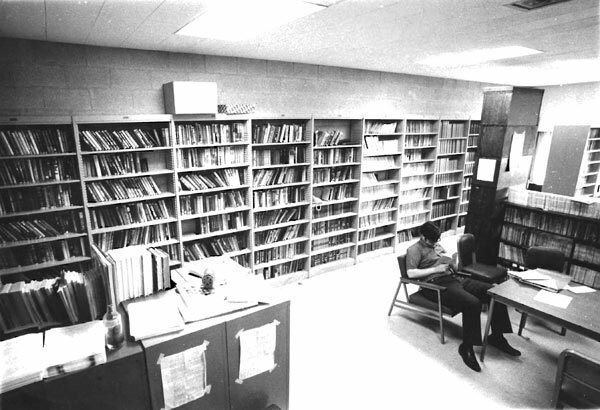 M. J. 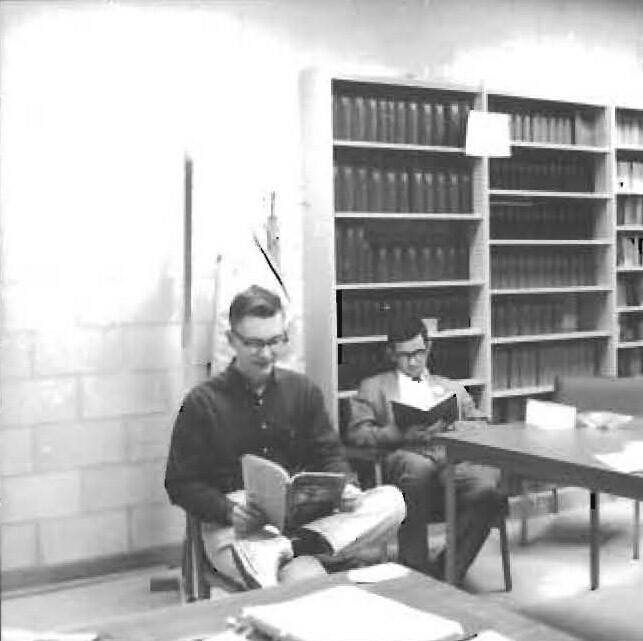 Ward and Baran, 1965-66. 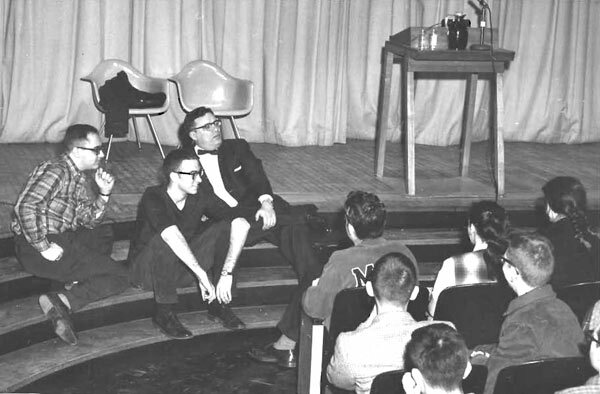 Baran with an unidentified MITSFS member, 1965-66. 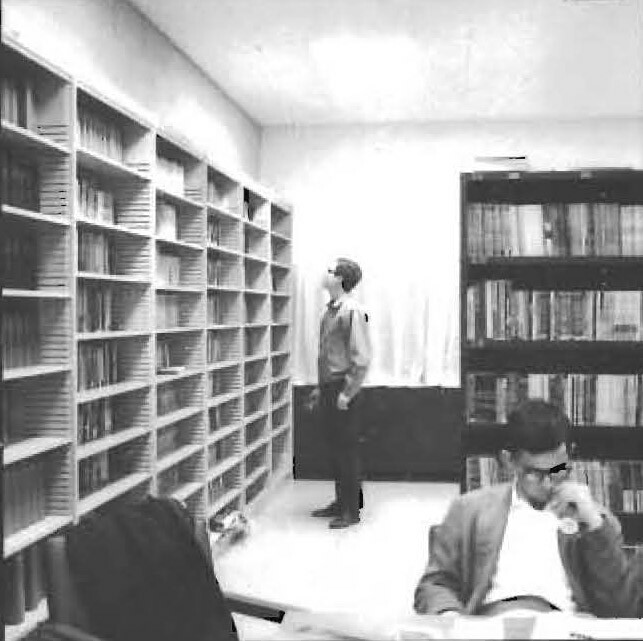 A reader in the MIT Science Fiction Society library, June 1971. 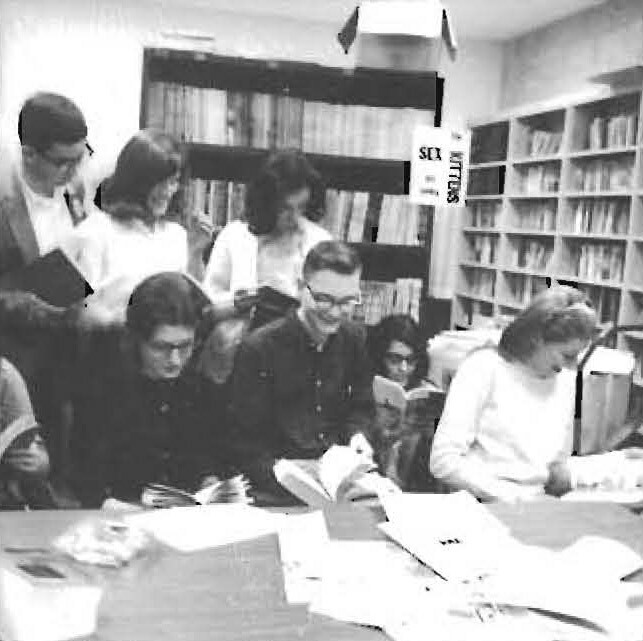 In the MIT Science Fiction Society library, spring 1971. 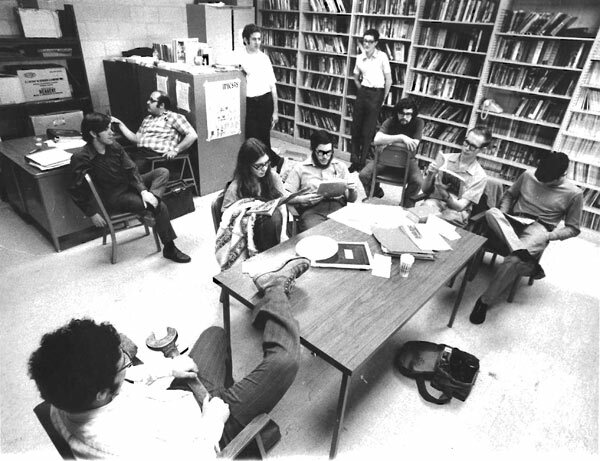 Seated around table, from left: Marc Alpert ’71, Lora Haines ’73, Seth Briedhart, Mike Timmreck ’74, Mark Swanson ‘71, Greg Ruffa ’74. 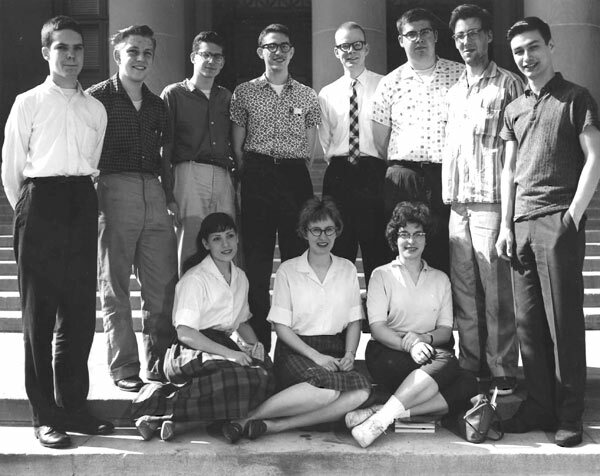 Back row, from left: Bill Gardner ’74, Tony Lewis ’61, Dave Brenner ’75, Sheldon Price ’72.